Date: April 11, 7 p.m. Date: Jan. 24, 2018, 1-2 p.m. Location: Waterstones, 82 Gower Street, London. 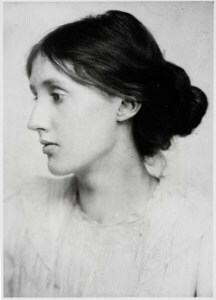 What: The Italian Virginia Woolf Society is organizing an event dedicated to Woolf on June 9 called “Una giornata tutta per lei” (A Day of Her Own). Location: Casa Internazionale delle Donne, the International House of Women, the society’s home base. The Virginia Woolf Society of Great Britain is getting together with Waterstones, as it did last year, to arrange a walk, discussion and talk on Saturday, June 16. Dalloway Day with Sarah Churchwell, Alan Hollinghurst, Hermione Lee and Elaine Showalter, June 20, 7-8:30 p.m. at the British Library. Sponsored by the library and its Royal Society of Literature. The event will include a discussion on the significance of the novel and its effect on literary culture with Woolf’s biographer Lee; novelist Hollinghurst; literary critic Showalter, author of the seminal A Literature of their Own, and Churchwell, chair of public understanding in the humanities at the School of Advanced Study. Ticket prices range from £10 to £15 and can be booked online. 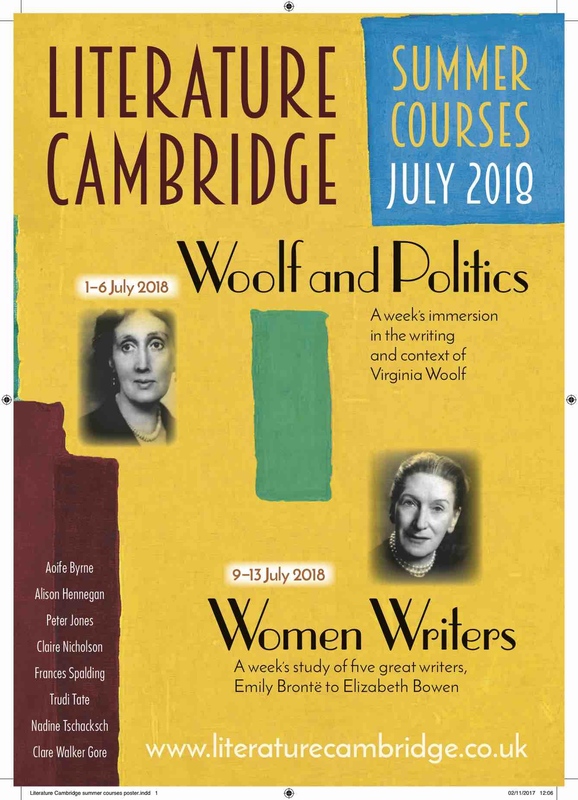 Bookings are now open for Literature Cambridge summer courses in Cambridge during July 2018 — and both include Virginia Woolf. Get details about the courses and their excursions. Virginia Woolf Talk with Dame Gillian Beer on “Reading The Waves Across a Lifetime,” Jan. 25, 2017, at 1 p.m. at Lucy Cavendish, Library Seminar Room, Lady Margaret Road, CB3 0BU. Read more. Date: Saturday 28 January, 2 p.m.
Virginia Woolf Talk with Nanette O’Brien on “Prunes and Custard in the Archives: Virginia Woolf and Cambridge Food in A Room of One’s Own, March 3, 2017, at 1 p.m. at Lucy Cavendish, Library Seminar Room, Lady Margaret Road, CB3 0BU. Read more. 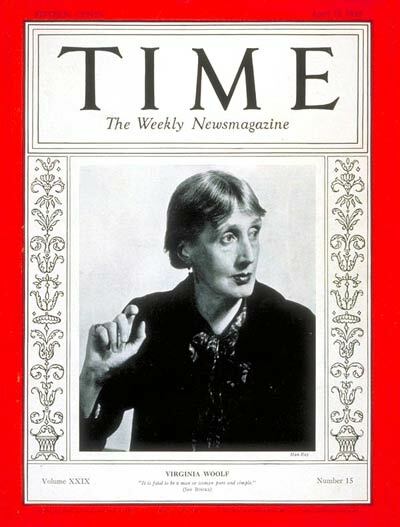 Susan Sellers will present “Virginia Woolf and the Essay” Wednesday, April 26, at 1 p.m. as part of the Virginia Woolf Talks, Cambridge, presented by Literature Cambridge and Lucy Cavendish College. Read more. Date: May 10 Read more. Susan Sellers will present Creative Writing Workshop May 13, 2-6 p.m. at Stapleford Granary, Cambridge. Read more. Location: Goshen Free Library of Goshen, Mass. Date: May 21, 2017 Read more. When: Saturday 16 September, 11 a.m.-5 p.m. Cost: £90/£75 students. Light lunch and tea and coffee provided. When: Wednesday 18 October, at 1 p.m.
Where: Lucy Cavendish College, Lady Margaret Road, Cambridge CB3 0BU. Free and open to the public. No need to make a reservation. Location: Redland Quaker Meeting Rooms, 126 Hampton Rd, BRISTOL BS6 6JE. A rare chance to hear these brilliant writers in conversation. When: Wednesday 29 November at 1 p.m. Meetings and special event information for society members. Also on this page are additional events in Great Britain. Charleston Farmhouse, the home of Virginia Woolf’s sister Vanessa Bell, Clive Bell and Duncan Grant, is considered “Bloomsbury in the Country.” The house is open March 26 through Nov. 2. Get information about this year’s program of events, including The Charleston Festival, held May 15-25, 2015. Knole House, the family home of Vita Sackville-West and the home described in Virginia Woolf’s novel Orlando, has limited weekend hours throughout the winter months. For details of events, visit the events page. Sissinghurst Castle was the medieval manor home of Vita Sackville-West, Virginia Woolf’s friend and lover, and Vita’s husband Harold Nicolson from 1930 on. For details of events at Sissinghurst Castle and its Garden, visit the events page. On June 23rd at the Orangery in Greenwich, London there is the showcase of Uneasy Dreamers, a new play about Virginia Woolf, Katherine Mansfield, John Middleton Murry and D.H. Lawrence all spending a day together at Mansfield’s Villa in Menton. Although the play sold out many weeks ago there is a waiting list for returns. Thanks for the information. I will check with my sources and let you know if I can find out any more details. In the years between the Great Wars, armed with determination, insight, and a rare gift for lyrical prose, Virginia Woolf set out to reshape the novel her generation inherited from the Victorians. Convinced that “on or about December 1910, human character changed,” Woolf wrote fiction that newly represented the flow and mystery of consciousness. Through the unconventional swerve, the surprising connection, and the painterly scene, Woolf reveals the complex inner lives of such apparently prosaic characters as a middle-class woman planning a party, a shell-shocked former soldier, and a family staying at a beach house. Rooted in its own time, her fiction explores questions for all time: How can we live meaningfully, knowing the horrors that go on in the world? How can we truly know one another? What of lasting value can be salvaged from human life and death? We will consider such questions in the light of two of Woolf’s masterpieces, Mrs. Dalloway and To the Lighthouse, along with excerpts from A Room of One’s Own and a few other essays. Join a small group of inquiring adults at Classical Pursuits.